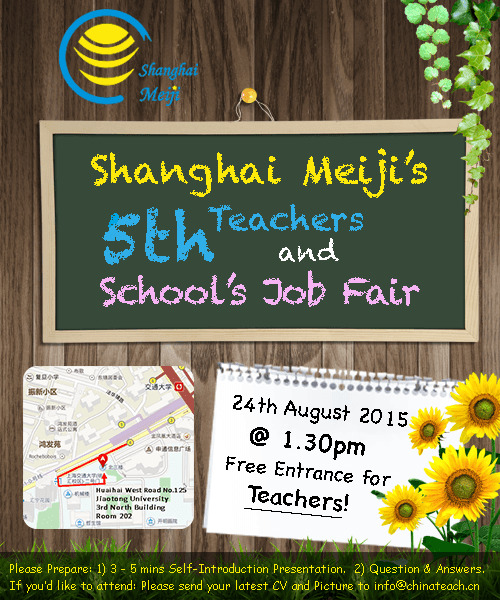 Shanghai Meiji - Find your ideal Teaching Job in China! Shanghai Meiji Culture Communications Co., Ltd (SMCC), is one of the biggest human resource centres for foreigners in Shanghai, China. We specialize in assisting foreign teachers and interns in pursuing their teaching career in China and have done so for over 8 successful years. We search and provide the best teachers for your institution. Most of which are TEFL/TESOL qualified teachers from the UK, US and more. We provide a VIP IELTS training course to Chinese students wishing to take the IELTS exam. We have highly experienced	IELTS trainers. Our Montessori Programme trains the most suitable teachers to become qualified and certified Montessori teachers. Whether you're abroad or in China, we know how complicated it is to apply for Chinese visas. That's why we're here to help. We have a variety of services available to you. Click on each one to learn more! We provide teachers specialised in teaching English as a Second Language. Chinese students are increasingly showing an interest in learning English to develop their potential as a professional. Learning English opens more career paths in the working world. Now, parents are all seeking to send their children to international schools, and as a result, there is an increasing demand for English teachers. As an educational institution, we understand your needs to look for the most suitable teacher. Foreign teachers are becoming more and more demanded, therefore we are working at out best in order to build our network of teachers to give you a wide pool of potential candidates. Get in contact with us to become our partner, after which we will be able to learn your requirements and be able to recommend the most suitable teachers to meet your institution's needs. Subjects such as mathematics, sciences, arts and physical education subjects taught by foreign teachers are hugely popular. They provide new insights coming from abroad, and are capable of teaching foreign curriculums such as A-Level, GCSE, International Baccalaureate and more. We can provide teachers who are experts and specialise in teaching specific subjects. We specifically pride ourselves in our network of science and mathematics teachers. Train with us to become a qualified Montessori Teacher! Montessori Schools are becoming evermore popular, and with more and more schools in China opening up schools following the Montessori teaching style, we are offering prospective teachers a Montessori training course. This will equip these teachers with the teaching knowledge and Montessori-qualified teacher certificate accredited by the London Teacher Training College. 1. Participate in our training programme for free and we will provide you with job positions to teach at a Montessori School. You will be working for Shanghai Meiji as a Foreign Teaching Expert. 2. Invest in the training course itself and you can use our network to find a Montessori teaching position yourself. We provide tailored VIP training services to Chinese Students wishing to undertake the IELTS or TOEFL exams. We know how tough these exams may be, and therefore we provide highly qualified and experience IELTS and TOEFL trainers, who are specifically trained to teach the content needed for these exams. We are also partnered with TEFL Express, one of the most popular TEFL learning centres in the UK. We can provide you with a discounted membership price and you'll be well on your way to gaining that all-important TEFL certificate! Receive private tuition, one to one, with your teacher! Private one-to-one tuition is a great way to learn English and other subjects, fast. Students get the most attention from their teachers in one-to-one tuition, so it is a fantastic way to allow your child or yourself to develop quickly. If you are seeking for a teacher to privately tutor yourself or your own child, get in touch and will be able to recommend you a selection of experience tutors. We provide catered training services for your organisation. Business organisations and corporations are increasingly looking to export or expand abroad. But first, they must need staff that can communicate in English. This is what we can provide - on-site training for staff members that need to improve their English communication skills. Alternatively, some companies may require specific subject training. This is another field in which we can provide instructors for. If your organisation requires training in a specific subject, such as chemistry or physical education, we can help provide you with teachers that are specialised in teaching just those. Our Unique Job Fairs provide you with an opportunity to speak to schools face-to-face. Our Job Fairs are unique. We not only invite teachers and hiring managers from schools, we also have each school and teach present themselves so that everyone can learn about each other. This is the importance of networking, especially in China. Having a network of people is essential in being successful in China, and once you have that then you are more advantaged. Teachers are required to create and pitch a 3-5 minute presentation about themselves, education and teaching/work experience. Schools will also present their school and their requirements for a teacher. This will ultimately allow each party to learn about each other, and after the presentations both parties can meet and discuss with each other. At the end, schools may send invitations to desired teachers to request for an interview or demo class. Drop us an email here and let us know that you're interested in our next Job Fair! Our event details are listed under the Events section. We are here to ease your Visa application procedures. Chinese Visas can be one of the most complicated and annoying visas to obtain in the world. With such strict and stringent checks, it's no wonder that some people coming to China struggle. At Shanghai Meiji, we provide a friendly and helpful nature in assisting you with your application for your Chinese Visa. Normally, your contracted school will help you apply for you visa, but if not, we are here to help. Applying for a Chinese Visa can in fact be very easy, providing you have the correct and appropriate supporting documents. This applies to every other country that you may need to apply a Visa for. Shanghai Meiji's team consists of the most dedicated and experienced members in order to provide you with the best service. We have over 100 Partnered Schools in China and also many partnered Universities in England. Our Partners also include various organisations and institutions. July 16, 2017 / Posted by Andy, Shanghai Meiji Culture Communications Co., Ltd.
April 20th, 2016 / Posted by Andy, Shanghai Meiji. Our 7th Teachers and Schools Job Fair was held at Jiaotong University on 20th of April 2016. We shortlisted qualified candidates for teaching positions and over 5 Top International schools including kindergartens, middle and high schools were duly invited. Teachers must produce a 3-5 minute self-introductory presentation stating their education and teaching experience. Schools will also present themselves and highlight their teacher requirements. After this, teachers can directly liaise with the schools and potentially create interview opportunities. January 20, 2016 / Posted by Andy, Shanghai Meiji. 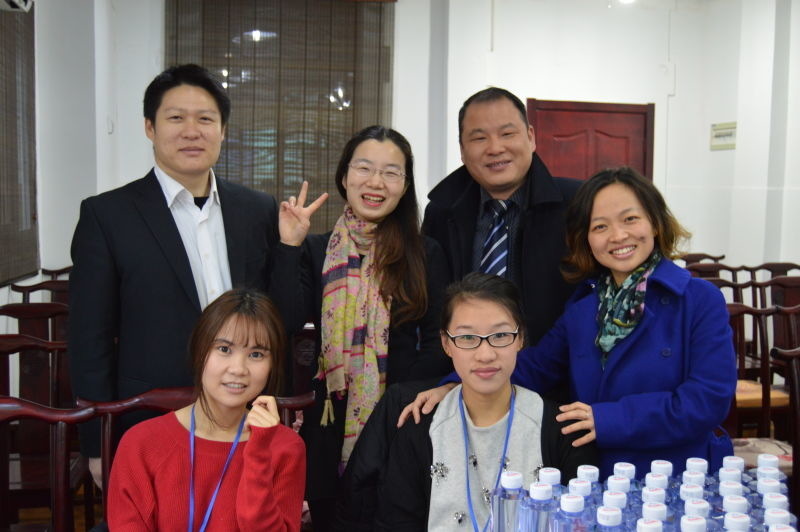 Our 6th Teachers and Schools Job Fair was held at Jiaotong University on 19th of January 2016. We invited several teachers and over 10 partnered schools including kindergartens, middle and high schools. The event had a successful turnout and many thanks to those whom participated. Shanghai Meiji's Events in the united kingdom! November 22, 2015 / Posted by Andy, Shanghai Meiji. 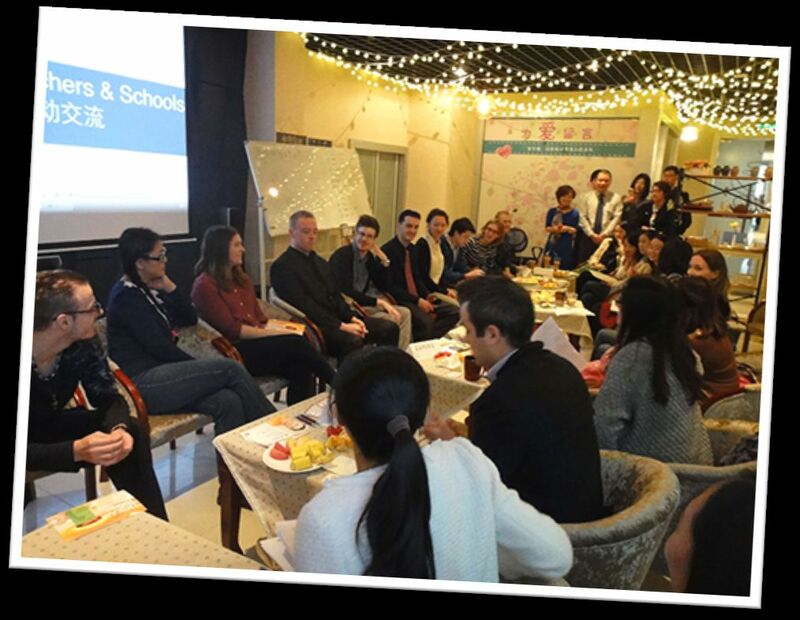 Mona and Jason from Shanghai Meiji have recently given talks to multiple universities in the United Kingdom, further expanding our scope of bringing fresh talent to come and teach in China! We visited 7 different universities across the UK, with great turnouts in each event! Southampton Solent University: Our first stop was at Southampton Solent University in the south of England. Plymouth University: Located south-west of England, Plymouth was our second destination. Edinburgh University: All the way up in Scotland, we travelled to Edinburgh University to give a presentation. Bristol University: To the east of England, this was our fourth event. University of the West of England: To the west of England! Edinburgh Napier University: We head back up to Edinburgh to join Edinburgh Napier University to hold our talks. Sheffield University: Our fifth destination was Sheffield, the original steel city in Yorkshire. Kent University: Our final destination in England was Kent, just nearby to London. August 24, 2015 / Posted by Andy, Shanghai Meiji. Our 5th Teachers and Schools Job Fair was held at Jiaotong University on 24th of August 2015. We invited a wide pool of teachers and over 10 partnered schools including kindergartens, middle and high schools. The event had a successful turnout and many thanks to those whom participated. 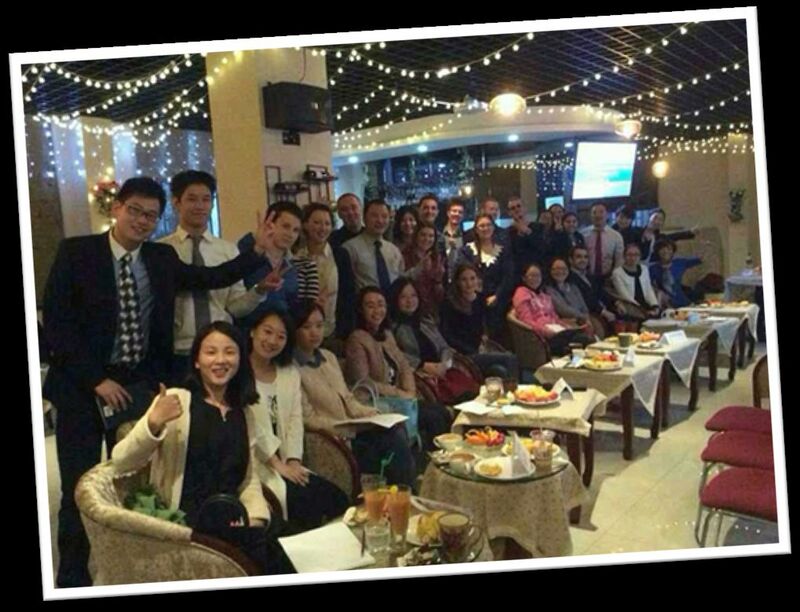 June 19, 2015 / Posted by Andy, Shanghai Meiji Culture Communications Co., Ltd.
Taken place at Jiaotong University's Easy Coffee & Tea, our 4th event went off like a blast. We had 10 participating schools and training centres along with over 16 teachers who gave a short presentation about themselves. It was a well attended event with us successfully linking the two parties together, which overall led to offered contracts to the teachers. We'd like to take this opportunity to thank everyone that participated in this job fair and we hope to see you in the next one! May 28, 2015 / Posted by Andy, Shanghai Meiji Culture Communications Co., Ltd.
We recently held a joint VIP job fair with Jincai's International Division of their middle/high school. This was one a great event where we saw many teachers turn up to have a look and enquire about the school. The school then proceeded to hold 1-to-1 interviews with each teacher to see if they were suitable for their available positions. In the end, some teachers were offered a contract with the school and we are happy to announce our further strengthened relationship with Jincai. January 8, 2015 / Posted by Andy, Shanghai Meiji Culture Communications Co., Ltd.
November 18, 2014 / Posted by Andy, Shanghai Meiji Culture Communications Co., Ltd.
Held at Jiaotong University, we invited over 30+ attendees to our first ever Job Fair that helped many candidates find new opportunities. We would like to first of all thank Easy Coffee & Tea that gave us this wonderful venue and to all the schools and teachers that attended this event. It was Shanghai Meiji's first event and we look to furthermore improve on our services. Stay Tuned for our Future Events! Coming Soon! / Posted by Andy, Shanghai Meiji Culture Communications Co., Ltd.
We consult and seek professional and qualified foreign instructors to recommend them to well-reputated schools and institutions. If you would like to franchise with us, we can provide a brilliant work platform for you, as we continuously aim to expand abroad to various countries in order to find the best instructors aspiring to teach in China. Shanghai Meiji is a trustworthy organization, most of our teachers were recommended by Shanghai Meiji. They are enthusiastic, energetic, serious and responsible. For any future opportunities, we will still use Shanghai Meiji's services and we hope that Shanghai Meiji will continue to expand. Shanghai Meiji--This company helped me to find a job quickly and easily. I want to say thank you to Catherine, she clarified all my preferences about work and in a few days offered me several options, among which I have chosen the most suitable to me. Catherine was very attentive and careful. After the interview, she wondered about how it was. And after a while she asked me about the environment and at work, and whether I like it or not. I can say that the company gave me support at various levels. Shanghai Meiji--This agency helped me to find a job in a really short time. The agent came with me for the interview and helped to prepare with some really good advice. They were always in touch with me, nice and polite all the time. I'm really satisfied with my new job. Thank you! Catherine at Shanghai Meiji is doing a great job and I'm really thankful for her help! She found a perfect job for me and now I can't imagine my life without my students, my little babies. Thank you again! If you have any questions or would like to express your interest, please let us know. We will reply back to your enquiry within 24 hours! © Copyright 2017 | Shanghai Meiji Culture Communications Co., Ltd.